Sagrada Familia is a 20-minute metro ride from Meeting Point Hostels, while Camp Nou Stadium is a 20-minute walk away. Please note that families with children under the age of 16 can stay in the hostel but only in a private room. Young guests older than 16 and under 18 traveling alone must have a notarized authorization signed by an adult relative or legal tutor to be allowed to stay in the hostel. When booking more than 9 guests, different policies and additional supplements may apply. Please note that the property reserves the right to pre-authorize credit cards prior to arrival. Guests are required to show a photo identification and credit card upon check-in. Please note that all Special Requests are subject to availability and additional charges may apply. Please inform Meeting Point Hostels in advance of your expected arrival time. You can use the Special Requests box when booking, or contact the property directly with the contact details provided in your confirmation. One bed in a female, 6-bed dormitory room. 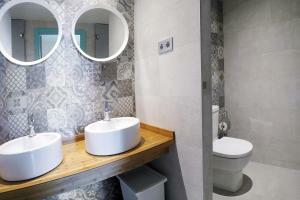 The room has an en suite bathroom, shared with the guests in the room. Each bed comes with an individual reading light, a small shelf and a power socket. Free, secure lockers are available. Bed linen is included and towels are available to rent. 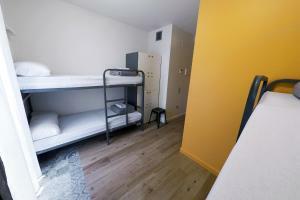 One bed in a mixed, 4-bed dormitory room. The room has an en suite bathroom, shared with the guests in the room. Each bed comes with an individual reading light, a small shelf and a power socket. Free, secure lockers are available. Bed linen is included and towels are available to rent. One bed in a female, 4-bed dormitory room. 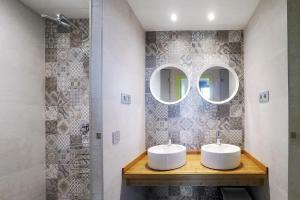 The room has an en suite bathroom, shared with the guests in the room. 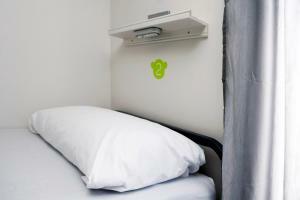 Each bed comes with an individual reading light, a small shelf and a power socket. Free, secure lockers are available. 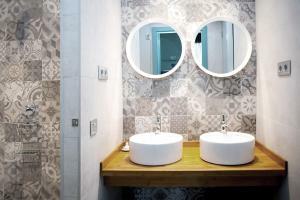 Bed linen is included and towels are available to rent. One bed in a mixed, 6-bed dormitory room. 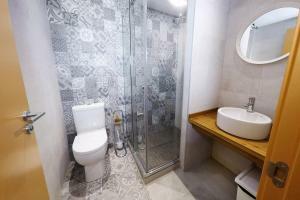 The room has an en suite bathroom, shared with the guests in the room. Each bed comes with an individual reading light, a small shelf and a power socket. Free, secure lockers are available. Bed linen is included and towels are available to rent. 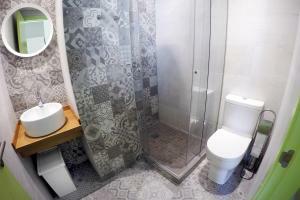 This private room has 2 sets of bunk beds and an en suite bathroom and shower. Each bed comes with an individual reading light, a small shelf and a power socket. Free, secure lockers are available. Bed linen is included and towels are available to rent.